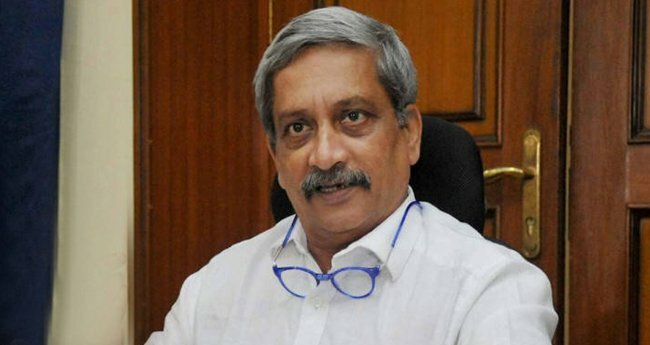 Panaji: Goa Chief Minister Manohar Parrikar, a former Defence minister who had been battling a pancreatic ailment for over a year, died at his private residence near here on Sunday. He was 63. The health of Parrikar, a technocrat-turned-politician and a BJP stalwart, took a turn for the worse in the past two days after his medical condition fluctuated for over a year. The four-term chief minister was flown to the US for treatment in March last year. "The chief minister died around 6.40 pm Sunday," a senior state government official told PTI. Sources said Parrikar was put on life support system late Saturday night. A widower, Parrikar is survived by his two sons and their families. 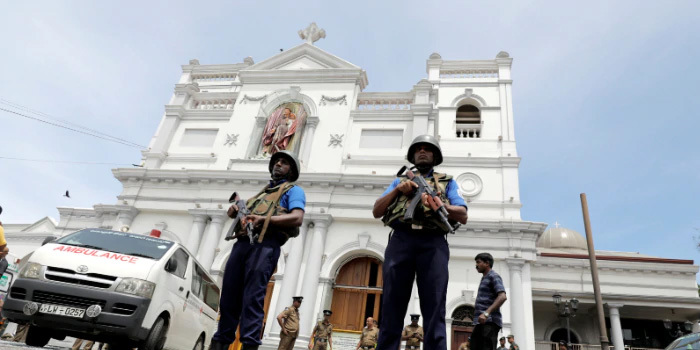 The central government announced national mourning on Monday. Prime Minister Narendra Modi condoled the death of Parrikar, hailing him as an "unparalleled leader". "Shri Manohar Parrikar was an unparalleled leader. A true patriot and exceptional administrator, he was admired by all. His impeccable service to the nation will be remembered by generations. Deeply saddened by his demise. Condolences to his family and supporters. Om Shanti," Modi said in one of several tweets. "Shri Manohar Parrikar was the builder of modern Goa. Thanks to his affable personality and accessible nature, he remained the preferred leader of the state for years. His pro-people policies ensured Goa scales remarkable heights of progress. "India will be eternally grateful to Shri Manohar Parrikar for his tenure as our Defence Minister. When he was RM, India witnessed a series of decisions that enhanced India''s security capacities, boosted indigenous defence production and bettered the lives of ex-servicemen," Modi said. Parrikar was a leader who enjoyed acceptance from all sections of the BJP and beyond. He played a key role in making the BJP a force to reckon with in Goa, which remained for long a Congress bastion, with regional outfits having pockets of influence. Despite his falling health, Parrikar had presented two state budgets in 2018 and 2019 and had attended public functions, including the inauguration of an iconic bridge across River Mandovi. A known fighter, an ailing Parrikar''s decision to go for a ride and inspect two upcoming bridges in the state with a feeder tube protruding from one nostril was defining image and sought to suggest has sought to suggest he is still in-charge of the state. In a tweet, President Ram Nath Kovind said, "Extremely sorry to hear of the passing of Shri Manohar Parrikar, chief minister of Goa, after an illness borne with fortitude and dignity. "An epitome of integrity and dedication in public life, his service to the people of Goa and India will not be forgotten," the President tweeted from his official handle. BJP president Amit Shah tweeted, "Manohar Parrikar ji''s demise is extremely painful. In him, the nation has lost a true patriot who selflessly dedicated his entire life to the country and ideology. Parrikar jis commitment towards his people and duties was exemplary." Several political leaders, including Union AYUSH Minister Shripad Naik, Assembly Speaker Pramod Sawant and Lok Sabha MP Narendra Sawaikar, reached the private residence of Parrikar in Dona Paula after the news of his demise broke. 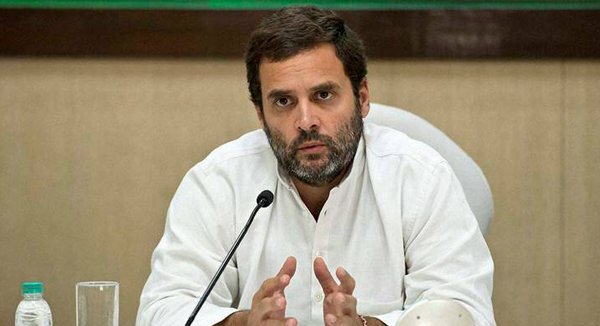 Born on December 13, 1955 into a middle class family, his political career began as an RSS pracharak and he continued working for the Sangh even after graduating from IIT-Bombay as a metallurgical engineer. Parrikar entered electoral politics in 1994 when he won on a BJP ticket from Panaji constituency. He was the defence minister from November 2014 to March 2017 during the tenure of Prime Minister Narendra Modi.